We always remind our commercial property managers: Prepare now for later. 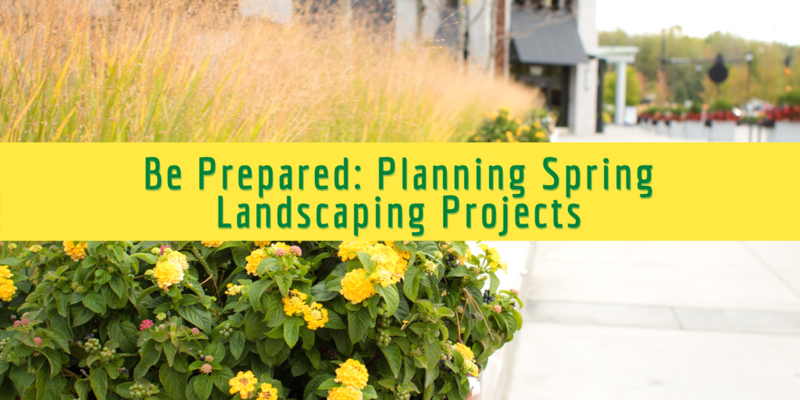 Spring is typically the time for maximum growth and "wow factor" for the plants on your landscape, so it's never too early to start thinking about whether your property is ready to for the growing season. Whether you've talked to your Client Care Specialist about spring maintenance and enhancements months ago or you're just starting to consider it now, this article explains how you can overcome the damage of winter and revitalize your property. If you’re a Schill client already, you know about our C.A.R.E. Commitment to quality that promises consistency, accessibility, reliability and expertise. Your Client Care Specialist performs on-site check-ins and weekly service visits to ensure that your commercial property is realizing its full potential. That includes creating a safe environment for the people who live, work and play there—and increasing the value of the property aesthetically, from updating landscaping to renovating turf. Your Client Care Specialist has your business in mind when making property improvement and maintenance suggestions. So step one: Ask for a property walk –through so you can plan for spring now. Looking for more spring landscaping tips? Landscapes age just like any type of infrastructure on your commercial property. We take care to maintain the landscape year-round to preserve its health and vitality. But there comes a time to update landscape beds to stay current and address plant health issues. After all, an overgrown outdated landscape bed is a poor reflection on your business, retail establishment or HOA. 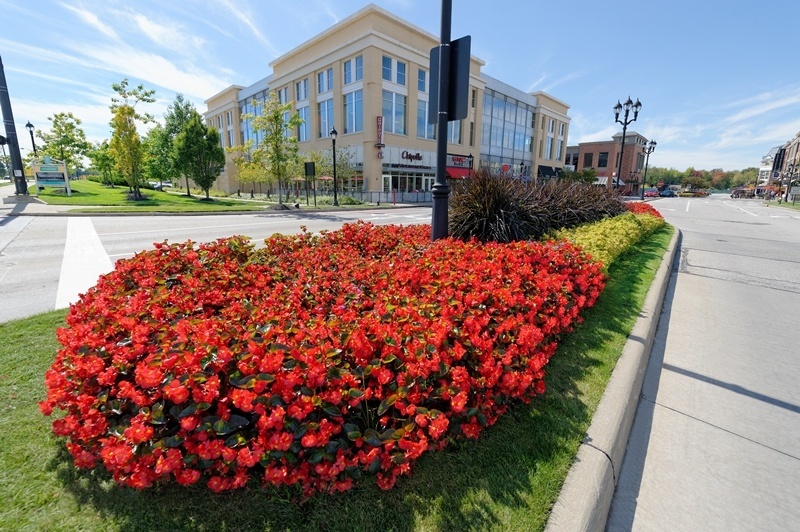 In a study by University of Washington, shoppers were willing to spend 9% more at a retailer with great landscaping. Rental rates for commercial offices with high-quality landscaping were shown to be 7% higher. Sit down with a Schill landscape designer and discuss the possibilities for your landscape. With a plan in hand now, the team can get started as early as late winter, depending on the weather we see this year. Review the condition of pedestrian walkways and entrances. Look for places where concrete is buckling (tree growth can prompt this when roots push up hard surface). Identify places where visibility is a problem because of overgrown trees and shrubs. Site lines should be clear for people and vehicles. Look at lighting. Beyond the aesthetic appeal of landscape lighting, be sure the functional lighting that illuminates entrances, walkways and parking lots is appropriate. An improperly lit retail site could deter shoppers from visiting after dusk. Many of these safety-related projects can be addressed before spring. Fall and winter is when dormant pruning can take place, and lighting can be addressed year-round. Take care of these projects now so you can focus on planting when the weather warms up. 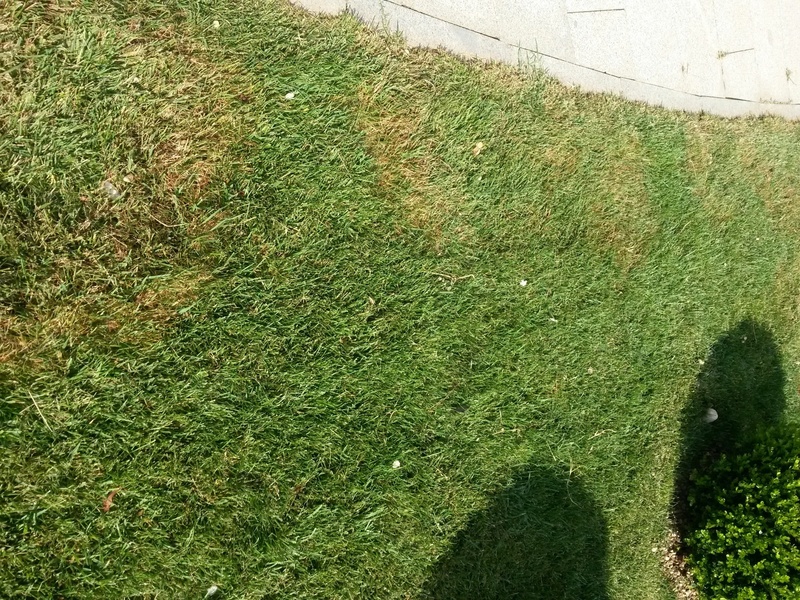 Grass in high-traffic areas on your commercial property will naturally take a beating. Plus, you might need to repair turf that suffered from disease. Sometimes, turf areas simply need to be replaced with an alternative because grass is not going to thrive in the location because of too much shade, soil conditions or environmental factors. That could mean using specialized grass seed so turf will grow successfully in a challenging space. Or, the lawn might need aeration to allow nutrients to enter soil and reach roots. Other solutions include enlarging landscape beds, or using ground covers like mulch, stone, ivy and pachysandra. Whatever the decision: Plan for spring lawn renovation now. Over time, some plants can outgrow the space where they were planted. Then, the plants become high-maintenance and costly because they require constant care: trimming, pruning, etc. Sometimes, the best choice is to replace them with other plants that are appropriately sized and requires less care. We always recommend selecting native plants that thrive in Northeast Ohio—and making sure we install the right plants for the right project. Some considerations include: cost of ownership, maintenance and water requirements. We also like to select plants that are hardy and less susceptible to insects and disease. Also keep in mind, plants can get damaged during the year from traffic, storms and other weather conditions, and drought. Perhaps the plant was not put in the right place to begin with and it gets too much sun, or not enough. A Client Care Specialist will identify plants that are suffering and suggest options for restoring landscape beds to a healthy state. Some plants simply need some extra care to grow strong again. Others should be removed. During fall when the irrigation system is being winterized is a good time to address improvements. Are there leaks or breaks to address? Could you upgrade spray heads to more efficient technology? Today’s new water-saving products include smart controllers and low-precipitation heads that use less water and, therefore, produce less runoff that is a burden on our storm sewer systems. At Schill, we are always looking for ways that a landscape can operate more sustainably, and focusing on irrigation system improvements is one way to do this. Being prepared means having the equipment, manpower, expertise and systems to handle any challenge or weather situation in Northeast Ohio. 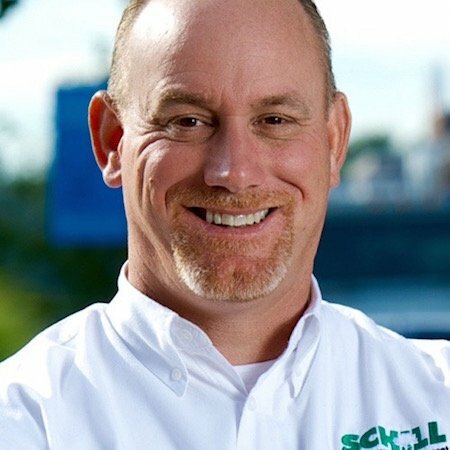 Contact Schill Grounds Management and one of our Client Care Specialists will visit your commercial grounds and perform a walk-through so you can plan now for spring. Call us any time at 440.327.3030. Or, fill out this simple contact form and we’ll get in touch with you.